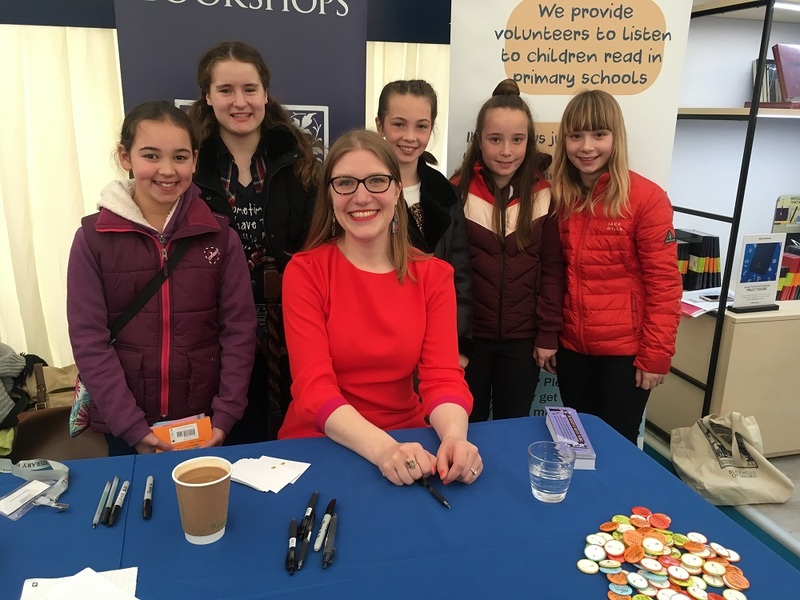 I’ve had a very busy weekend – I visited two of my favourite festivals in two days, and had two incredible events! 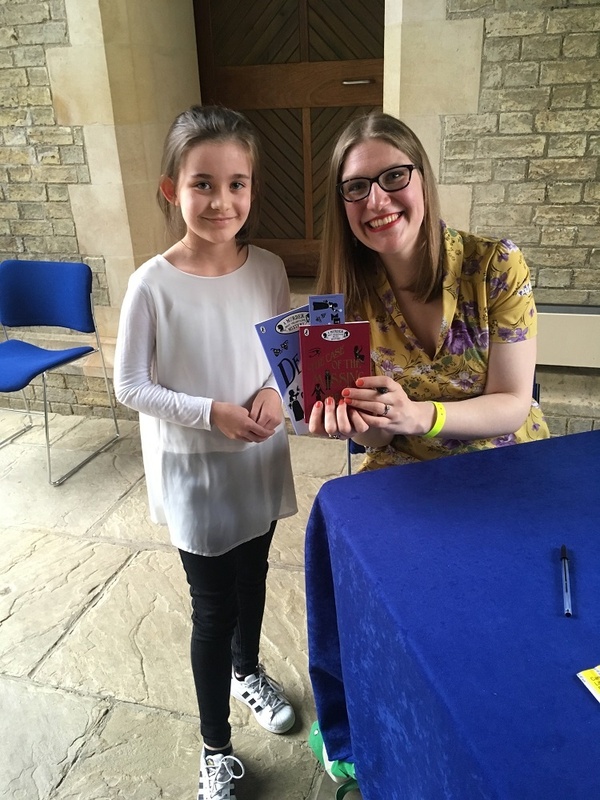 On Saturday I went to Oxford Literary Festival, and I got to speak in one of the most amazing venues in the UK, the Sheldonian Theatre. 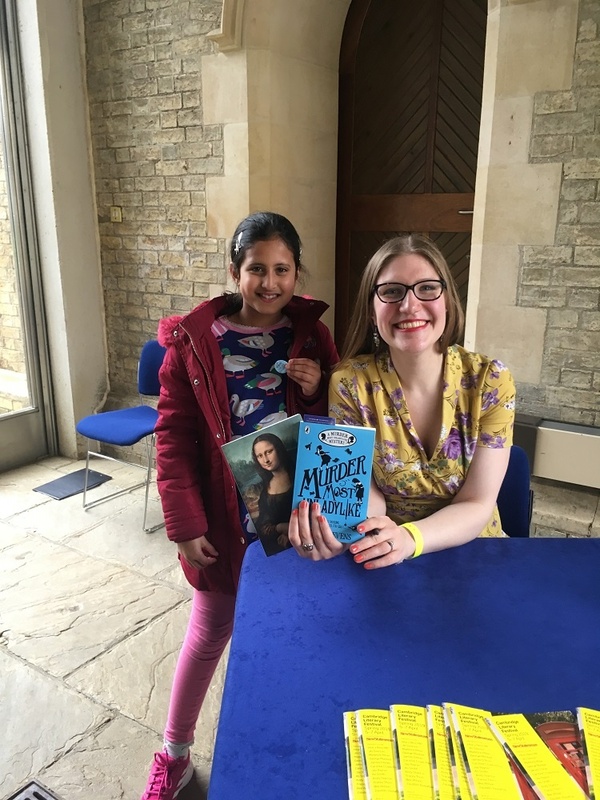 It’s incredibly beautiful and old and ornate – I feel honoured to have been allowed to hold an event there, and it was especially amazing to talk about my childhood in Oxford, and writing Murder Most Unladylike while I worked at Blackwell’s Oxford, in those surroundings! 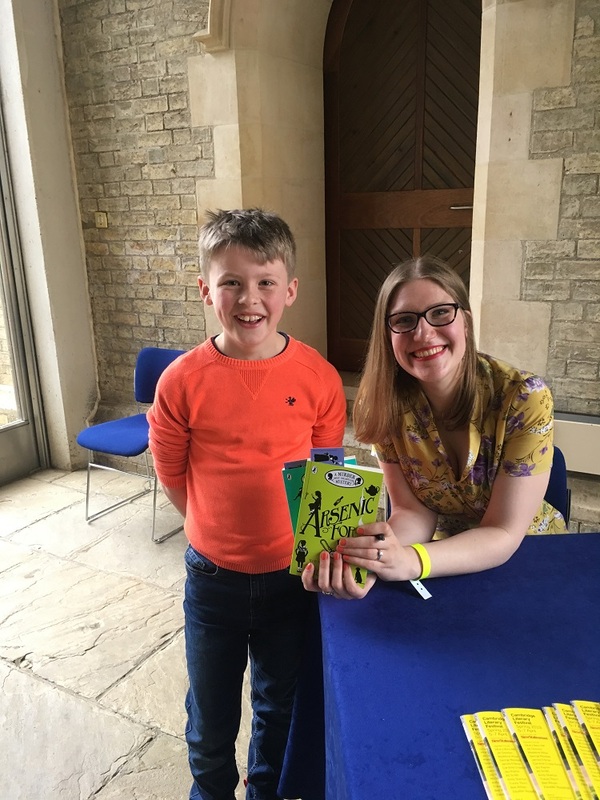 On Sunday I travelled to Cambridge to speak at the Cambridge Literary Festival – and to collect the very first Award for Contributions to Reading! 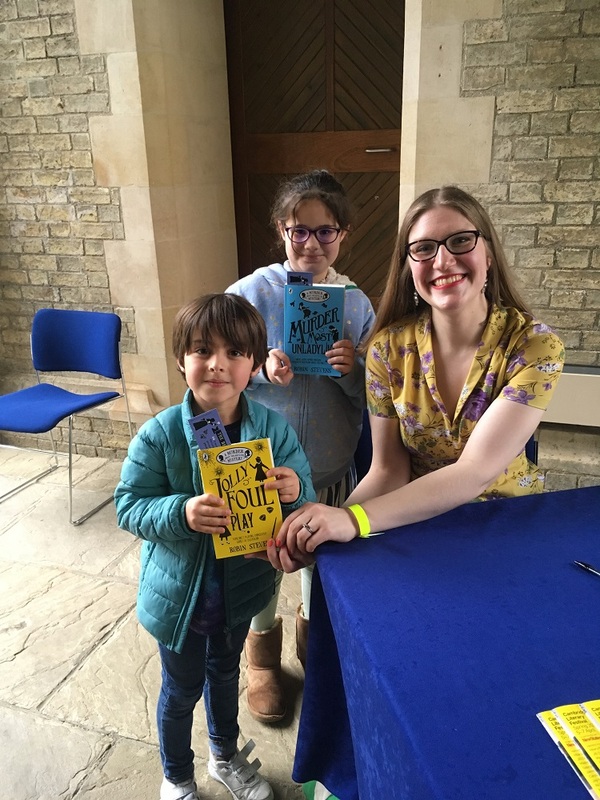 Cambridge Literary Festival, Heffers and Cambridge Libraries have been so supportive of my books since the beginning of my career, and so this award feels very special to me. Everyone in the audience was given a Fitzbillies‘ Chelsea Bun (if you’ve read Mistletoe and Murder, you’ll know why these buns are so special to my books! ), and as part of my award I’m being sent a year’s supply of them! It’s the best bunbreak ever. 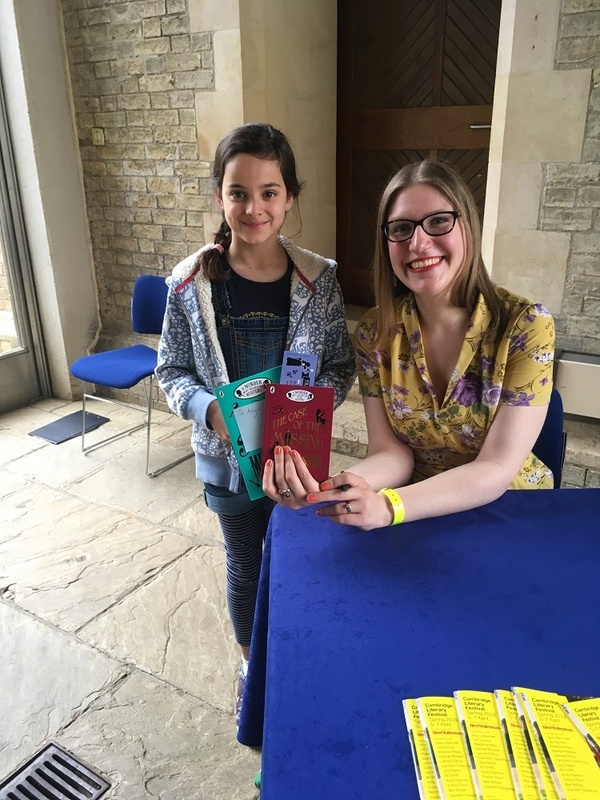 Below are some of my favourite pictures from the events and signings – if you came along, thank you so much for being so patient and friendly in the signing queues! 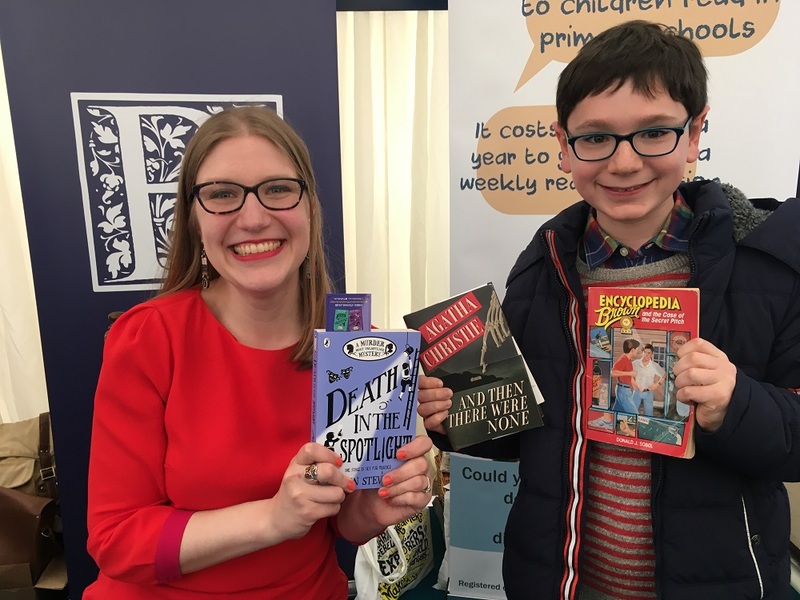 Thanks also to Andrea Reese and Sabine Edwards, who organised the events, and to Blackwell’s and Heffers for supplying books! 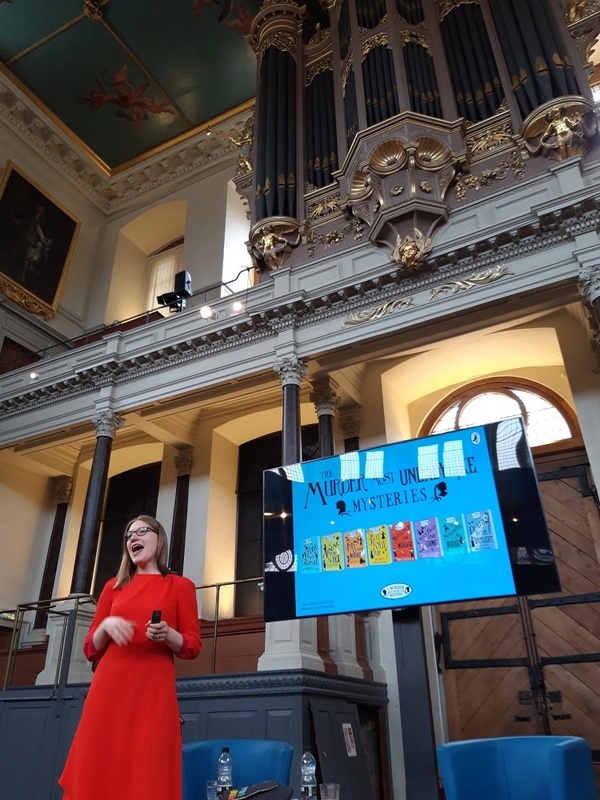 Speaking in the Sheldonian at Oxford Literary Festival – thanks to Jo Cotterill for the photo! With some fans who travelled from far away to meet me! With a fellow Encyclopedia Brown fan! 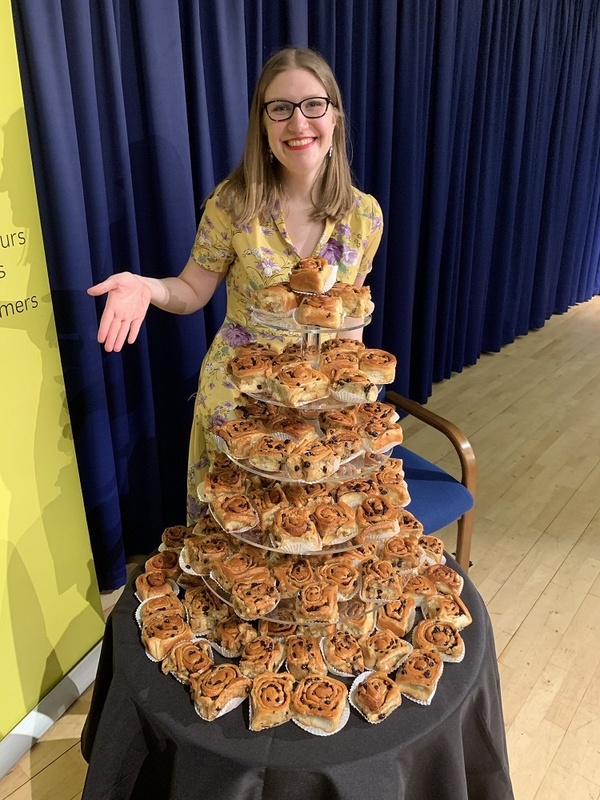 With my tower of buns at Cambridge Lit Fest! With a fan who came all the way from Derbyshire! Sorry I wrote so much! I’m writing a story at the moment called the wishing star at school, It’s about a girl who loves astronomy who really wants to see a shooting star to cure her mums cancer. Well done for your award! That tower of buns looked so impressive, and with a year supply of buns you can have a bun break, like at Deepdean, every day.